Let us begin by looking at these types, and the common questions that are asked under each type. Please note that while most interviews begin with introductory questions, no particular order of question types is followed by the panel as regards the rest. You may be asked any kind of question at any time. These questions are asked at the start of the interview. The panel initiates the interview by asking the candidate to introduce themselves. 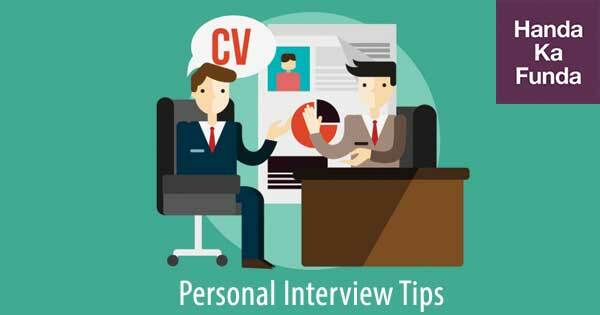 As I have discussed in detail in the previous post, the information you choose to include in the intro determines what is asked in the first half of the interview. Therefore, it is important to strategise this intro appropriately by carefully placing your positives – both in academics and in other experiences – and focusing on your learning. For example, if you are a commerce student, and Accounting and Taxation is your favourite area, you may mention that in the intro. This increases the chances of the panel questioning you on it. The panel may ask you to elaborate on some parts of your introduction in order to understand your beliefs, your value system, and your priorities in life. Please make sure that you do not berate anyone in your intro, such as “Had my school been a bit better, I would have…”, or “My dad and I have always had a bad relationship”. This projects you as a pessimistic moaner whose negative outlook on life would make it difficult for the B-school to handle him/her for the next two years. The intro is all about putting forward your positives. Somebody else’s negatives cannot affect them. I had to tell him that he was not a go-getter, but a ‘go-get outter’ and that he should get out of the room at once. While both academic and work-related questions come directly from the points in your intro, they have a marked difference. Academic questions tend to be oriented towards the basics, while work-related questions will usually go deeper. This is primarily because a working candidate is very immediately involved in his/her job, and a greater depth of knowledge and maturity of outlook is expected of a working candidate. However, if a fresher (more likely a topper from a premier institution) begins with something like, “I am maths champ”, or “I know Economics inside out”, or “I have a thorough cross-functional knowledge of finance”, they should expect a sinkhole ahead. The panel is knowledgeable enough to reduce the candidate’s confidence to rubble. The point is, irrespective of one’s academic standing, one must project oneself as a modest individual willing to learn further. Working candidates will face a number of questions on the details of their work, such as, the daily responsibilities, the reporting head, the clients handled, the nature of the team in which you work, the platforms and the technologies applied in the course of job, growth opportunities within the company, technical details such as the management of the company, the market size, the stock price etc. The panel may further increase the intensity by asking if the candidate has identified any areas of improvement for the company. If yes, then the panel may also ask what action he or she has taken. If no action has been taken, the candidate will be expected to give reasons why. The panel will expect the candidate why he or she wishes to leave the company to seek management education. The usual replies of “cannot climb the corporate ladder without MBA” or “want to make better decisions”, or a more blatant “more money needed” will cut no ice with the panel. The panel expects a clear professional goal and a roadmap for it, which must elaborate on the specific learnings through management education. Working candidates will also be asked to elaborate on any challenges they may have faced on duty, and how they overcame them. Both freshers and working candidates may be expected to demonstrate their communication skill once the conceptual knowledge has been established. This will usually happen through a question such as, “Explain this to me assuming that I am a 5-year old.” If this happens, keep things simple, and speak in terms comprehensible to the proposed audience. DO NOT at any point berate the company you work with. This does not work for two reasons: one, it projects you as a complainer who is not a problem solver; two, it does not at all justify the decision to do MBA, because you are always free to find another job instead of seeking further formal education. If you do not recall the answer to any question – academic or work related, current affair or general awareness – you can always request the panel to give you a minute to gather your thoughts. However, if you are unable to answer a question, do not try to bluff your way through it. Admit that you do not know it without wasting any further time. In the previous posts, I have outlined the current affairs topics that are likely to be referred to in this years’ interviews. Both CA and GA questions usually begin from the candidate’s academic or work-related areas, and then CA question take a random turn, whereas GA questions may go into the depths of the candidate’s extra-curricular knowledge of his/her area. For example, I recently interviewed a candidate form one of India’s premier engineering institutes. He was the department topper and cited oil industry as his area of interest and expertise. I then asked him to elaborate on Barack Obama’s recent ban on oil and gas drilling in the US-owned Arctic and Atlantic waters. The candidate had not even heard of this news. I then proceeded to ask him a number of questions regarding the developments in oil industry. He could not answer any! The seriousness of this is compounded by the fact that I have absolutely nothing to do with oil industry. I do not even own any shares in any oil company. What would happen to this candidate if he were interviewed by an industry-expert panellist? Therefore, read up to the infinity on both current affairs and the recent developments in you subject areas. That is our best chance with this type of questions. These questions primarily comprise the following: extra-curricular activities, hobbies and interests, strengths and weaknesses, personal values and ethics, memorable life experience and challenges. Many B-schools restrict the references to extra-curricular activities by clearly stipulating a minimum level of participation (such as district or state level). If no such stipulation exists, feel free to mention any activity that you have pursued alongside your studies. Extra-curricular activities, unlike hobbies and interest, are not necessarily current pursuits. You may have been a part of the school debate team 5 years ago. That still qualifies as your extra-curricular activity. When you refer to the activities, no matter how small they seem, always focus on your learnings from them. Hobbies are the activities that you currently pursue, and interests are the subject matters that, as of today, interest you. I am emphasizing the italics because that which you did 5 or 7 years ago but do not do any longer is neither your hobby nor your interest. Both must be current. Many candidates say during the PI that they have no hobbies or interests. This is poor because it projects you either as someone who does not have a minimum self-awareness or someone who leads a monotonous and boring life. And both together reflect you as someone who lacks a well-rounded personality necessary in a good manager. Also, DO NOT invent hobbies and interests for the sake of the interview. This particularly happens in case of the hobby of reading. Those who last read a book one year ago, or never read a single book completely, also cite reading as a hobby. The panel can, in just a couple of questions, expose the falsity of it. What you cite as your strength and weaknesses must be personality strengths and personality weaknesses. For example, a thorough knowledge of MS Office is not a strength, just as lack of it is not a weakness. Do not confuse strengths and weaknesses with specific knowledge and skills, or lack thereof. If someone puts forward ‘public speaking skill’ as a weakness, it cannot really work, because one could be a poor public speaker due to either a lack of relevant knowledge or confidence. The knowledge can be gained very easily by attending a workshop. It is not so easy to develop confidence though. Thus the actual weakness may be ‘lack of confidence’. Do not confuse weaknesses with their manifestations. Trace the root of your weaknesses. Your strengths (and weaknesses too) must have manifested themselves you over several occasions, across a wide frame of time. For example, a single example of leadership does not make leadership quality a strength. Look at your life as a whole and observe how you have acted in the important moments in your life. They will tell you what your strengths and weaknesses are. The panel does not expect anyone to be without a weakness. We are all humans and we all have our areas of improvement. The panel, however, expects you to have a plan of action to deal with your weakness. Make sure that it is already in place, and that you discuss it during the interview. Our personal values are shaped by our upbringing and the cultural influences that shape our personality. The panel may present you with question that poses an ethical dilemma e.g. “Would you indulge in or condone bribery if it were absolutely necessary for the growth of your company and you had no fear of prosecution?” In such cases, make sure that you do not advocate anything illegal. Once the matter is beyond the legal domain, each one of us will view it from the perspective of our own ethics. It is difficult to advise others on this matter, so I shall refer to Christ’s words: Do unto others as you would have them do unto you. Demonstrate empathy and fairness in your decision. The panel may also ask you to talk about memorable life experiences that have had a seminal influence on your being. Irrespective of whether these experiences are joyful or painful, do not look at them from an emotional perspective. Do not gloat over your victories or lament your losses. Instead, look at both as sources of learning. Learning is all that remains after time has passed. These questions will primarily cover the following: A –the short and the long term career goals; B – Why MBA; C – Why from a particular college; D – Why you should be selected. We have covered the first three points in the previous post. Additionally, please ensure that your short (5-6 years) and long (8-10 years) term goals cannot be at odds with each other. If someone tells me that he is passionate about social service and wishes to start an NGO in the long run, but in the short term wants climb up the corporate ladder and be a vice president (or something crazier!) of an MNC, I know that neither really is his goal. You do not have to state your goals in terms of working with a specific company and a specific designation. Instead, you could talk about the kind of responsibilities you wish to handle, and the sector (if you have decided) in which you wish to work. The panel will expect you to have arrived at such a goal with a dispassionate analysis of the industry, the job profile, and your strengths that make you suitable for it. Finally, a few words about why you should be selected. I feel it is the toughest PI question, because for most of us the toughest thing to understand is we ourselves. This question cannot simply be answered by repeating our strengths, because then panel will get right back at us by saying that many candidates have the same qualities. Most candidates think that the purpose of this question is to prove to the panel how he/she is better than 20 other candidates waiting outside the room. Nothing could be further from the truth. What we must demonstrate is our uniqueness. In uniqueness there is no comparison. There is nobody better or worse than you because there is nobody like you. We must find what makes us what we are. I recommend that you look at your life so far. Everything you have done so far, and everything you do everyday shapes your being. Nobody has lived a life which is exactly the same as yours. Ask yourself what your life has taught you, how your experiences have changed you, how they have made you look at things in your own way. For example, if 3 people go through the same experience, such as a near-death experience, their learnings will differ. Having survived the experience, one may turn into a dare-devil, another may turn ‘outward’ and devote his the rest of his life to the welfare society, while the third may turn ‘inward’ and pursue the spiritual path. What we are influences what we become which influences what we are. This is the cycle of life. The panel expects you to be self-aware, at least to some extent. If a candidate demonstrates such awareness, that itself indicates an individual of a different kind. The kind who could be a true leader, an inspiration to others in whichever field he or she chooses as a career. Every interview in some way is always a stressful affair. Generally, the panellists tend to disagree with whatever the candidate says, because even if they agree, they must create conflict in the interview in order to test the candidate under pressure. Sometimes the panel may begin to create stress by losing eye contact with the candidate, raising the pitch of the voice, or asking questions multiply. You will sense this when it starts to happen. This is all a part of the test, and we must deal with it without yielding to pressure. Sometimes the panel asks such questions as can directly stress the candidate. For example, “What would you say if I tell you that your interview has been a disaster?” or, “So far your interview has been awful. Can you tell us why we should select you?” The actual question here is only “Why should we select you?” But the prologue is sufficient to distract and unsettle the candidate, who may give a volatile response. This is what we must avoid. No matter what happens, we must remember that every question is a test and we must respond to it courteously and dispassionately. As the interview ends, do not make a bolt for the door. That indicates desperation to get over with it and adversely influences the panel’s impression. Rise up from the chair politely, thank the panellists for their time and the opportunity they gave you to interact with them, wish them appropriately (e. g. wish you a good day/good evening) and then you may leave. One last piece of advice: No interview is a foregone conclusion. Never assume during or after the interview that you have either cracked it or blown it. Let no such distraction affect your performance in either the present interview or the future interviews. Stay positive, stay committed. Nothing is over till it is over.